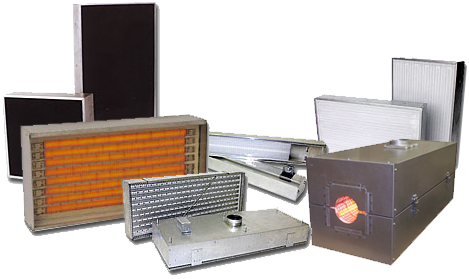 PROTHERM, LLC™ series FSA heaters are highly efficient, fast response, medium wavelength infrared heaters designed for use in general industrial process heating applications for sensitive products such as coating webs or textiles. Operates at element temperatures up to 2100 f (2.0 micron-peak). Designs up to 50 watts per square inch. Perforated face for air impingement. Efficiencies exceeding 89% have been proven, the highest in the industry. Heats up to processing temperatures in about 30 seconds. Cools down to "safe" temperatures in 30 seconds or less. Can be mounted horizontally or vertically without element sag. Click here to view General Instructions and Warnings on the Series FS Infrared Heaters.